Contrary to poplular belief, Cappadocia is not a city- it is actually a region which spans a very large area in Central Turkey. For this reason, it's important to pick a town where you can make your home base! 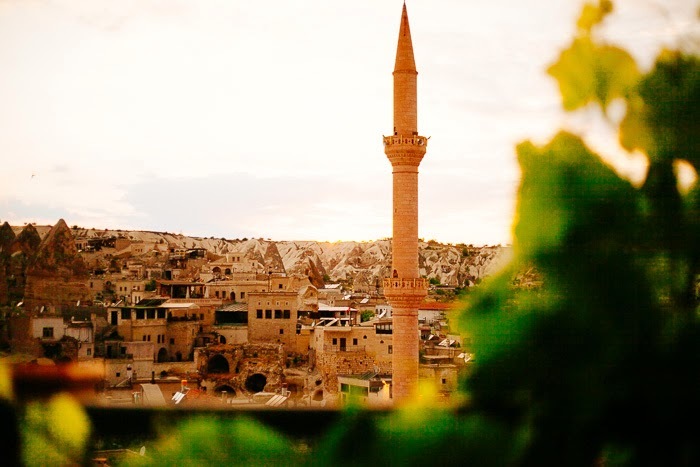 Two of the more well known cities to stay in are Goreme and Uchisar. While both cities have their selling points, we chose Goreme because it is a little bigger and seemed to be a popular launching point for buses, excursions, etc. 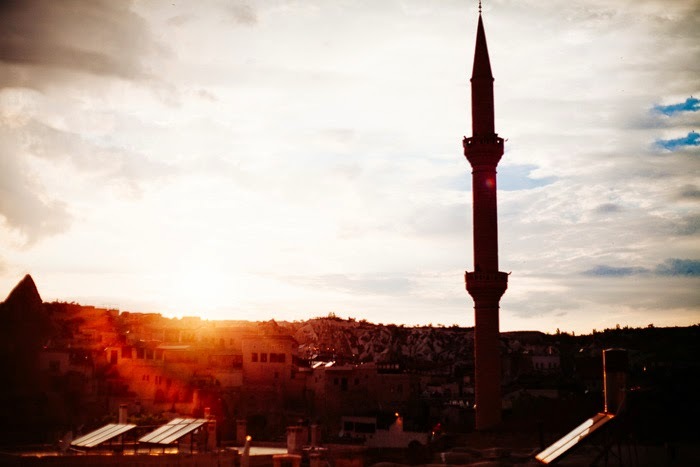 However, we did visit Uchisar, and it is equally adorable! Goreme was so quaint, I just loved it. It has a small town feel, and you can walk to so many different sights like the open air museum. We set off on a few hikes right from our hotel, which was really convenient! 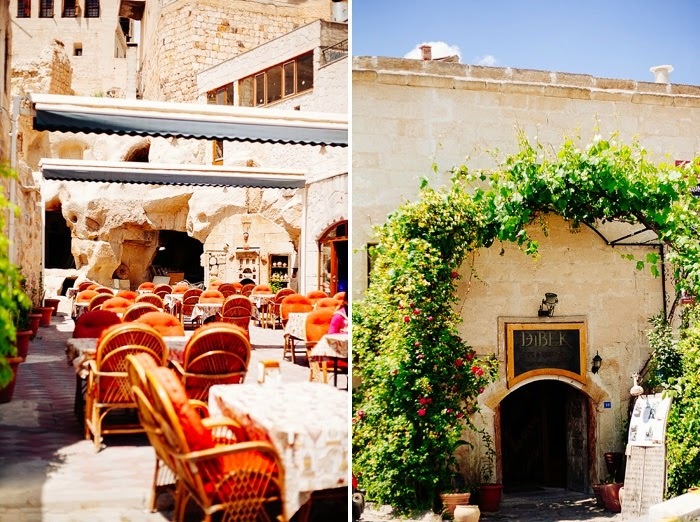 Goreme is dotted with "cave hotels"…you may start feeling like you are living in a Flinstone's movie:) I would absolutely recommend staying in a cave hotel, it's unbelievable! 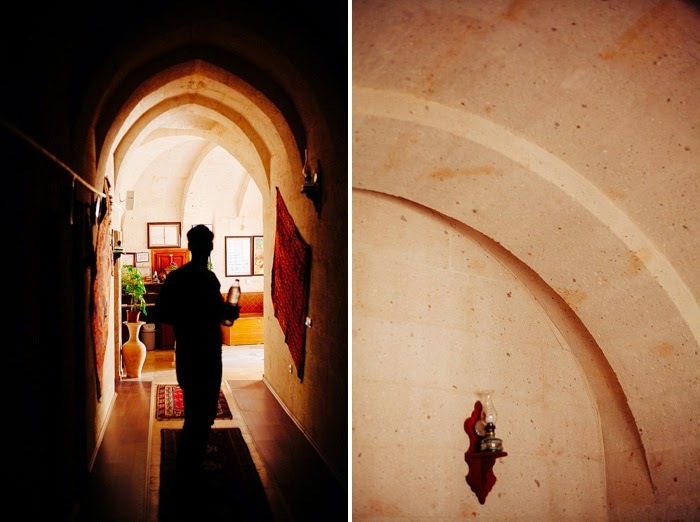 We stayed at the Arch Palace Hotel, and couldn't have been happier! Not only did it get great reviews on Trip Advisor, but our friends also mentioned that they loved this place too! It was economical ($50 a night), decorated very tastefully and chic, and most importantly, had the nicest staff members ever! 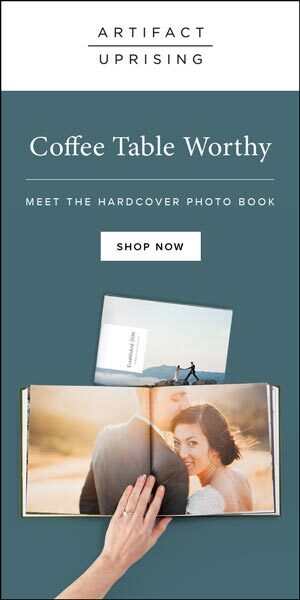 We fell in love with them and their hospitality! We also loved the incredible terrace where we ate breakfast each morning and could sip our coffee/tea while looking out at a panorama of the whole city! It was unreal! 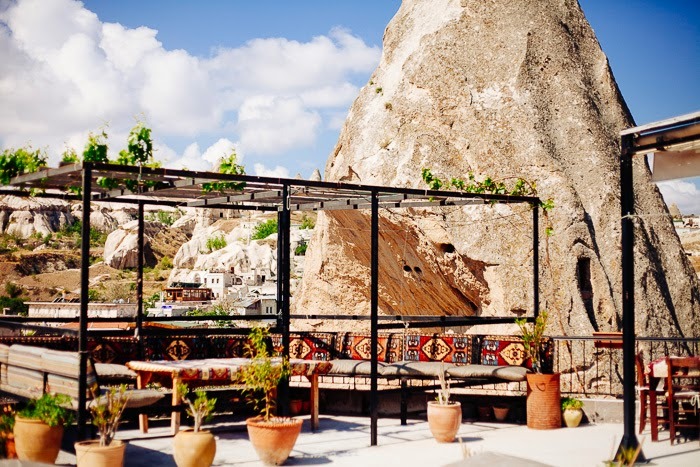 Definitely check out the Arch Palace hotel if you plan to go to Cappadocia! Our favorite restaurant in Goreme was called Dibek. I'm not kidding, one of the most amazing culinary experiences of my life! The restaurant resides in a 475 year old building, and is filled with cushions for sitting on the floor. The most famous dish in Cappadocia is called the testi kebab (or more literally translated, pottery kebob). The pottery kebob is a mix of meat, tomatoes, and other vegetables cooked in a clay pot for hours! You actually need to make a reservation if you plan on eating a pottery kebab because they have to prepare it the day before to be fired in the stove! Kevin and I took our time with this meal, savoring every ounce of the deliciousness along with the traditional ambiance. We didn't want to leave:) So of course we kept getting more tea and coffee!